The Falcon™ Ultrasonic (UT) probe (patent pending) is the safest corrosion coupon in the world. The Falcon UT probe requires no unnecessary corrosion coupon removal and eliminates the safety risks associated with the handling of traditional coupons. 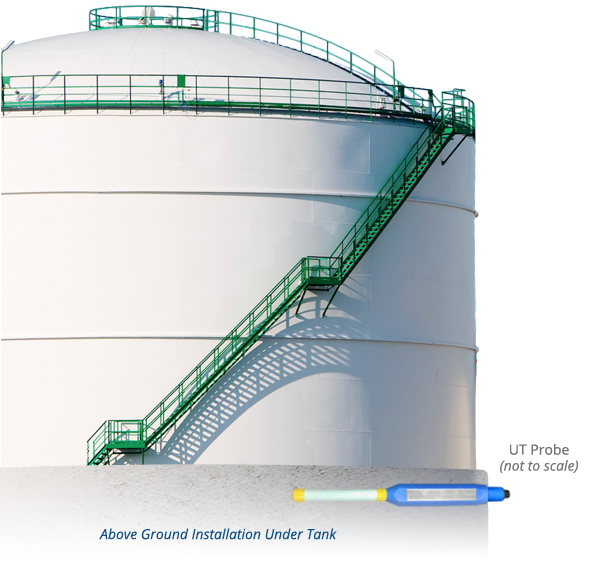 The Falcon UT probe includes a pre-weighed corrosion coupon that is analyzed directly or remotely by the customer with a PC-based software application. By measuring the direct changes in corrosion coupon thickness and mass loss of the corrosion coupon, the Falcon UT probe provides all the benefits of in-stream corrosion rate monitoring without the inherent safety risk of a traditional corrosion coupon. BSI has designed these assemblies to fit any industry standard access fitting or NPT ball valve fitting. 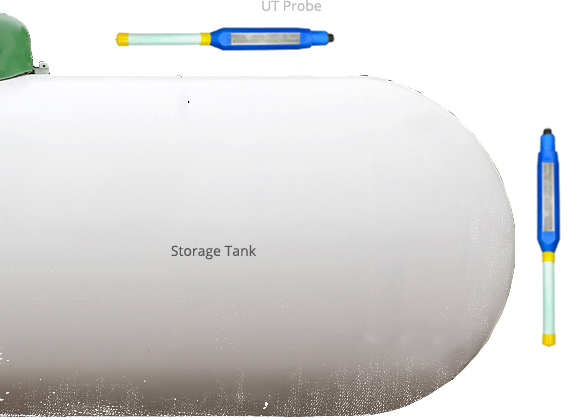 The Falcon Ultrasound probe is designed using rugged and durable components that withstand high pressures (up to 2,160 psi for retractable; higher psi available for drip pot assembly) and temperatures up to 500°F. Each UT probe has a single transducer working with a permanent coupling that provides precise thickness measurements of the corrosion coupon over time. 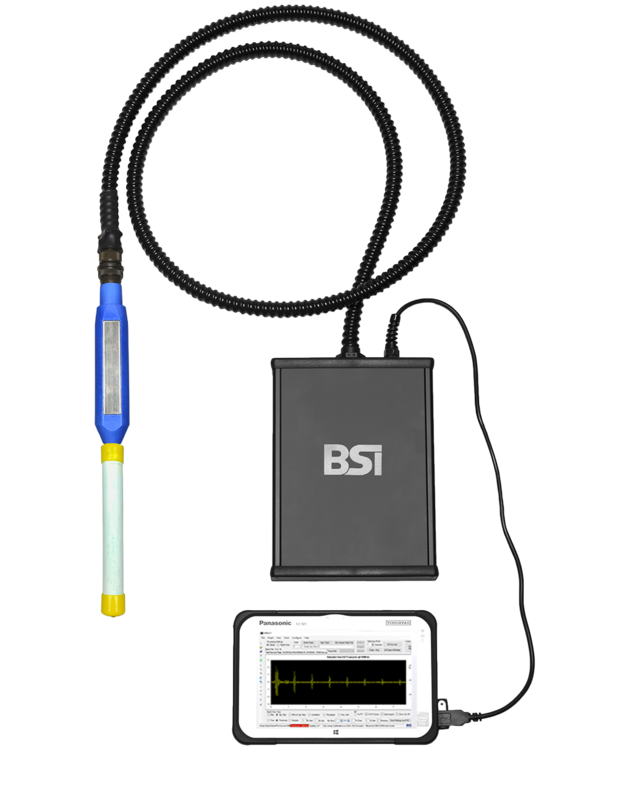 Primarily used to measure external corrosion, BSI FalconTM Ultrasonic Testing (UT) Probes (patent pending) are compatible with your existing pipe access fittings. Designed for both above and belowground tanks, buried piping, and other mechanical structures that necessitate monitoring, these powerful tools help to preserve and protect your infrastructure. Our "Smart" ultrasound probes amplify the capabilities and the value of the physical components found in traditional testing probes. BSI’s breakthrough technology in this area has literally reshaped the way our clients are able to acquire mechanical integrity data. The design of the probes selected for a project will depend on monitoring location and conditions. Probes can be installed on standard access fittings. Utilizing proven and cost-effective technology, ultrasound waves are reflected from the front face of the metal surface to the "back wall" which provides a precise measurement of the wall thickness (after adjusting for the speed of sound in the material). The data from these measurements is tracked and trended in order to determine local or general wall loss. Installations and monitoring do not disrupt business operations. UT Probes can be used underground, where they are buried next to the asset that needs to be monitored. If there is any type of discrepancy found in the corrosion coupon, this likely indicates cracks or other hidden internal flaws that require further examination. The data obtained can also be used to monitor the effectiveness of cathodic protection, and to mitigate the problem of soil-side corrosion. 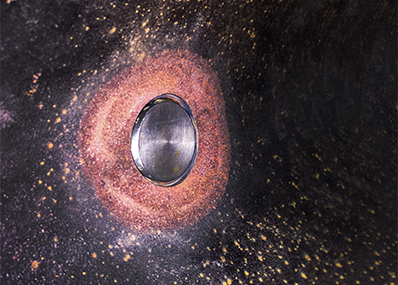 Enable corrosion monitoring, remotely, from outside of the tank to evaluate the effectiveness of protection of the tank as well as the levels of any soil-side corrosion. 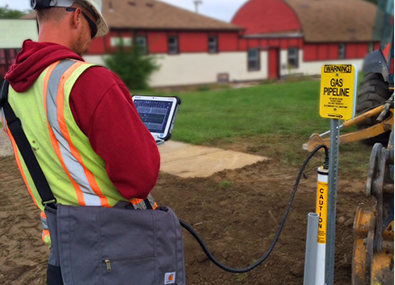 Installed from above ground with no insulation removal, the BSI UT Probe can monitor corrosion 360° around the pipe. Eliminate the need for coupon removal, cleaning, shipping, and weighing, while increasing corrosion rate intelligence. BSI software collects, aggregates, cleanses and formats invaluable data for our customers every hour, 24 hours a day. With a rapid processing speed for collecting large data sets, SCOUT™ offers multiple interface options to support the most popular current databases and conventional data collection systems. The SCOUT™ interface, accessible online, incorporates unique display features for easy user interpretation and subsequent decision-making. It works with Windows, iOS, and Android. All software and hardware updates are included in the cost of your system. Cognizant that different customers have different needs, BSI developed SCOUT™ to be fully customizable based on customer preferences. For example, users can control whether they would like a real-time or scheduled Cloud upload, or they can choose to set text or email alerts. Modifications to the interface itself can be made to respond to unique requirements. System users also have the option of taking measurements either manually or wirelessly. 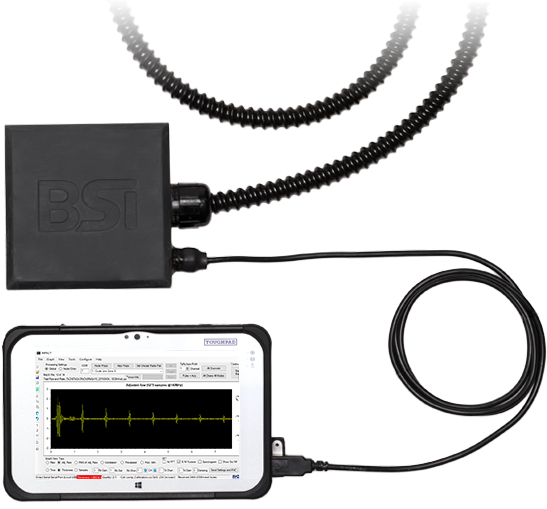 If done manually, data is captured and stored quickly in the field with BSI’s Universal Logger. There are no depth limitations or service interruptions for either option. Data can be accessed online through a secure interface at a later time. Wireless technology has become the optimum method for transmission of asset management data in the petro chemical, energy generation, and mining industries. BSI partners with the leading communication carriers and wireless equipment providers to accommodate user response time expectations and data security requirements.